From Tuesday to Saturday, from 5 pm to 7 pm. The animators will welcome the celebration and its friends, will be able to help set up and dismantle the buffet. Buffet and cake, the cost of which is paid by the customer, are organized in the outside area of ​​the Planetarium bar. - 2D planetarium performance of about 20 minutes and 3D trailer of 5 minutes for max 30 children and parents of the celebrated kid. - Two animators for 25/30 children. 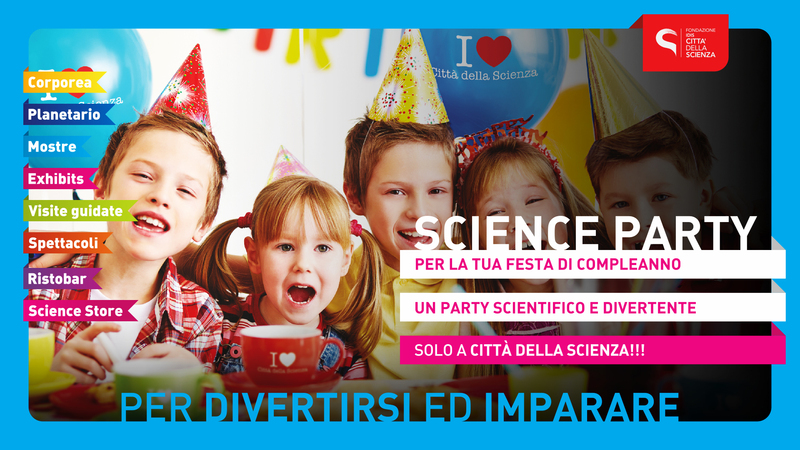 - Invitations to the Science Party.